RICHMOND, Va. (March 26, 2018) – Advertising and communications powerhouse J. Walter Thompson (JWT) has brought in Spurrier Group, a marketing and media agency with offices in Richmond and Washington, D.C., to develop, execute and manage a strategic media planning and buying campaign for the Illinois Office of Tourism (IOT) during Spring/Summer 2018. Working collaboratively with account managers at JWT, Spurrier Group will develop a performance-based media strategy to help the IOT compete more effectively and efficiently for high-value leisure travelers to the state. Goals for the campaign include increasing new visitors to the state, increasing statewide visits by Illinois residents, increasing the length of stay by one day and converting day-trippers to overnight stays. Spurrier Group will handle media planning, buying, placement and analysis of IOT ads in traditional, digital and social channels. With IOT in the portfolio, Spurrier Group continues to expand its footprint well beyond Virginia. The firm brings decades of experience in the travel, tourism and hospitality sectors, having executed comprehensive media campaigns for Virginia Tourism Corporation, New York Department of Tourism, Maryland Department of Commerce’s Division of Tourism, Film & the Arts, Amtrak Virginia, the Virginia Museum of Fine Arts, Cambria Hotels and the National Geographic Museum, among many others. 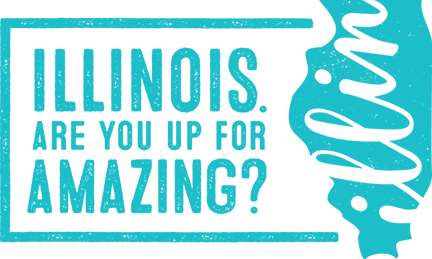 The Illinois Office of Tourism account is funded and managed by the Illinois Department of Commerce and Economic Opportunity. J. Walter Thompson Worldwide has been making pioneering solutions that build enduring brands and business for more than 150 years. Headquartered in New York, J. Walter Thompson is a true global network with more than 200 offices in over 90 countries, employing nearly 10,000 marketing professionals. The agency consistently ranks among the top networks in the world and continues a dominant presence in the industry by staying on the leading edge—from hiring the industry’s first female copywriter to developing award-winning branded content today. For more information, please visit www.jwt.com and follow us @JWT_Worldwide. Spurrier Group is a marketing partner dedicated to measurable ROI. We analyze and then simplify data to understand how to strategically reach and then motivate our client’s target audiences. Our research leads to customer insights that educate and inform the entire marketing process. Founded in 1996, we have created and launched customized marketing campaigns that capture audiences and achieve exceptional results for a wide variety of global, national and regional clients. Today, Spurrier Group is one of the most respected marketing and media agencies in the Mid-Atlantic region. In fact, we were recently ranked as one of the top twenty advertising agencies in the Washington D.C. metropolitan region, and we are consistently listed among the top agencies in our hometown of Richmond. For more information, visit www.spurriergroup.com.